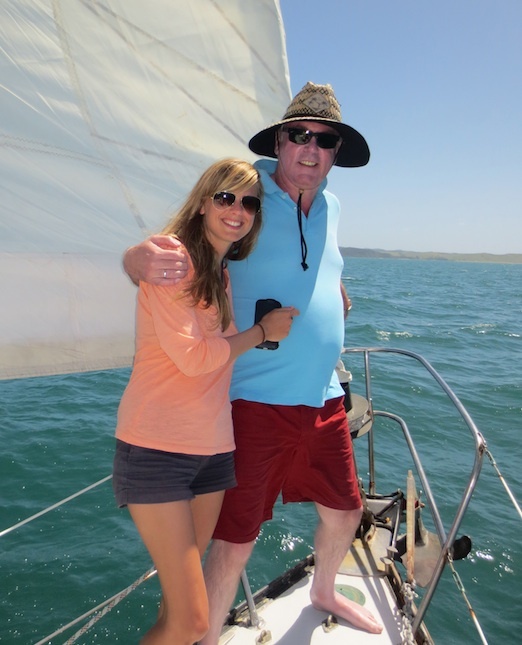 Rick and Robin warmly welcome you aboard Phantom – a real New Zealand sailing experience you’ll never forget. This yacht was our first home together, where we raised our son Jackson and travelled the waters of the world together. We’ve had many adventures on the decks of this yacht, and we know there are many more yet to come: we invite you to join us for your own adventure, right here in the pristine Bay of Islands. For us, sailing and hospitality are a way of life, so you’ll have a real slice of New Zealand lifestyle as soon as you come aboard. With many sea voyages behind us, from the Caribbean to Cape Horn and throughout the Pacific, you will be in good hands and friendly company. We’re a colourful, travel-wise family with many stories to tell and a lot of sailing experience in NZ waters; so if you’re looking for a true Kiwi experience, you’ve come to the right place. We’re both New Zealand licensed captains, and while Rick is an Auckland native who left New Zealand on his yacht in 1974, Robin was born and raised in New York City. We met in the Caribbean and sailing has been our life for the last 35 years. We’re never more at home than when we’re treading the decks of Phantom; and it’s our honour to have you on board with us. Offering private sailing charters allows us to showcase the stunning coastline we live on, but it also gives us the chance to stay salty: so it’s a win-win for us! 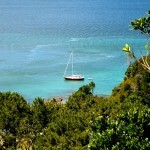 We also offer private sailing charters for groups of 2-10 guests. Whether you’re an experienced sailor or a total landlubber: we tailor your experience for complete enjoyment. Relax and allow us to show you the magic of these islands in complete comfort! 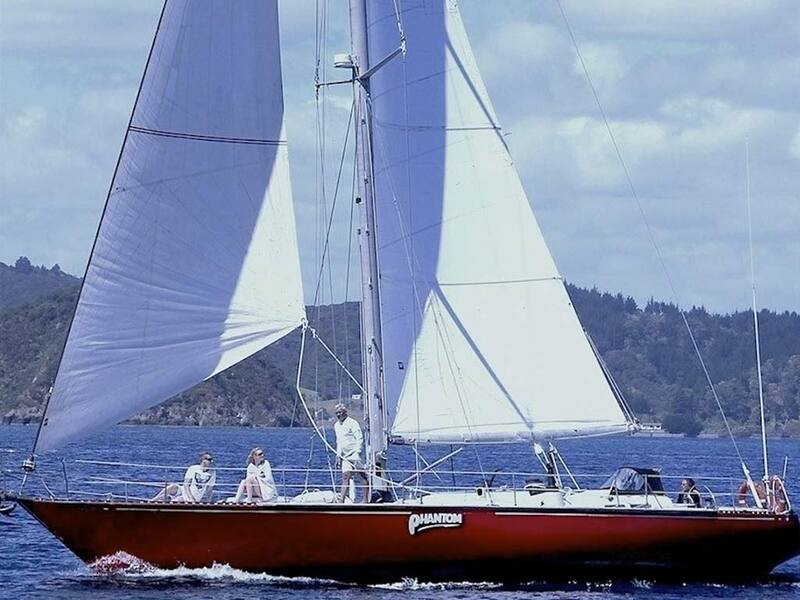 Everything is good about sailing with Phantom, don’t hesitate to book, it was the highlight of our stay in the Bay of Islands. Rick & Robin were a joy to spend the day with. 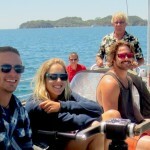 They have a ton of experience and we felt like we were in great hands sailing around the Bay of Islands. The experience is super intimate, and it was great getting to know other people from all parts of the world on our sailing adventure. This is a must-do and I highly recommend this over the big charter boats. The Dolphins swimming along us was an added and unexpected bonus! If you are planning to see this part of the world make sure you include a day of sailing with Rick and Robin on the phantom – it will likely be the best day of your vacation. I have spend a day on the Phantom for several times and I was never disappointed. I’m living in New Zealand and go there with all my visitors from different countries. Rick is an experienced skipper and Robin a perfect host serving an excellent homemade lunch. Robin and Rick are the best! We had a lovely day trip with delicious food (Robin really is a great cook) and a wonderful sailing experience with Rick as Captain (we even learned how to do some sailing knots). 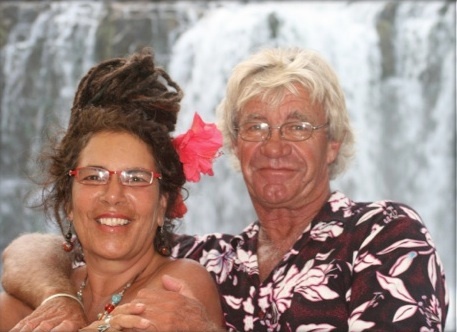 If you are up for a relaxed day on the sea with great people, this is the couple to go to! Thanks again for this wonderful experience! The sailing was superb, other guests were lovely company, the stop at cable bay was brilliant and Robin’s home made food delicious. Many thanks too Rick & Robin for changing our booking at the last minute to accommodate the weather forecast. On a glorious day we had a sail (6 hours) on Phantom. Rick and Robin are welcoming hosts, on their lovely schooner. 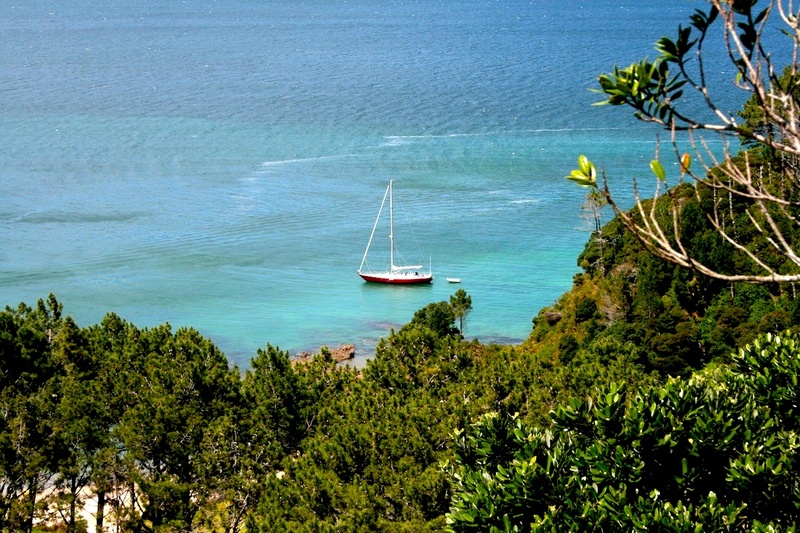 The best way to explore the Bay of Islands. Fabulous day out sailing with a great stop at a beautiful little island. Lunch was to die for. 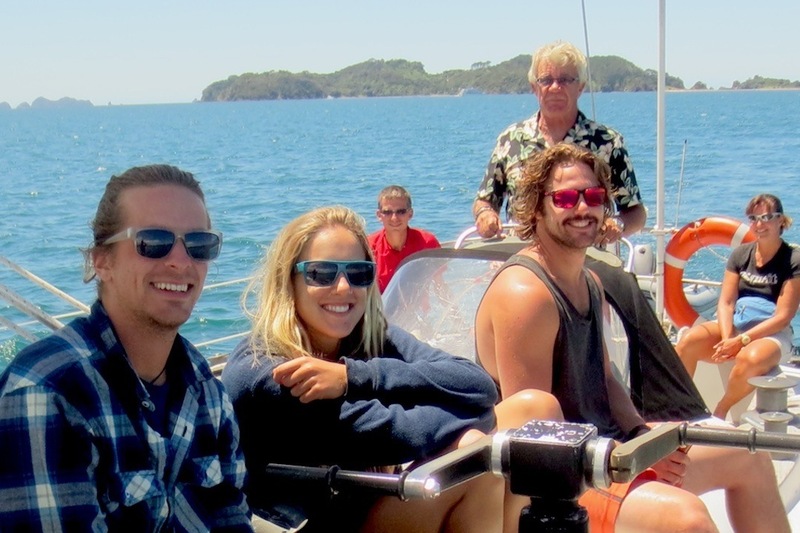 Thanks so much Rick & Robin for accommodating the 4 of us and making a pretty memorable day in the Bay of Islands. 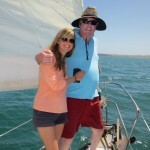 We had a perfect last day in NZ on the sailing boat with a small, quiet and relaxed group. It was like spending the afternoon with some good friends relaxing, swimming and eating some delicious lunch with interesting talks. Thanks, Robin and Rick! 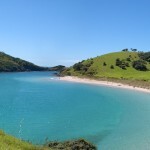 A really great way to enjoy the Bay of Islands.